The Spanish Flu was the deadliest virus in human history. It infected half a billion (500,000,000) people on all seven continents, from the polar regions of the Arctic to Southeast Asia. When the flu ran its course, it killed 50 to 100 million people, or about 3 - 5% of the world's population. Unlike other variations of the flu, the Spanish Flu targeted young, healthy adults between the ages of 20 and 40. 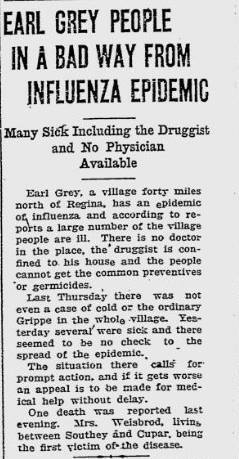 While every corner of the planet was effected by the flu, this website focuses on how the Spanish Flu effected Regina, Saskatchewan. The Spanish Flu came in three waves. The first wave was in the summer of 1918, the second one was in fall of 1918 and the last was in early 1919. Because the flu was global, it's difficult to pinpoint the exact day the waves occurred. A century after the Spanish Flu appeared, scientists are still at odds where it originated. Some say it originated in the United States, China or Europe. Nevertheless, it blossomed in Europe and became a global threat after World War I when infected soldiers returned home. 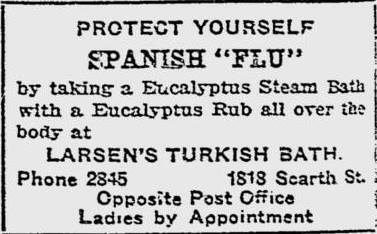 Why is it the "Spanish" Flu? 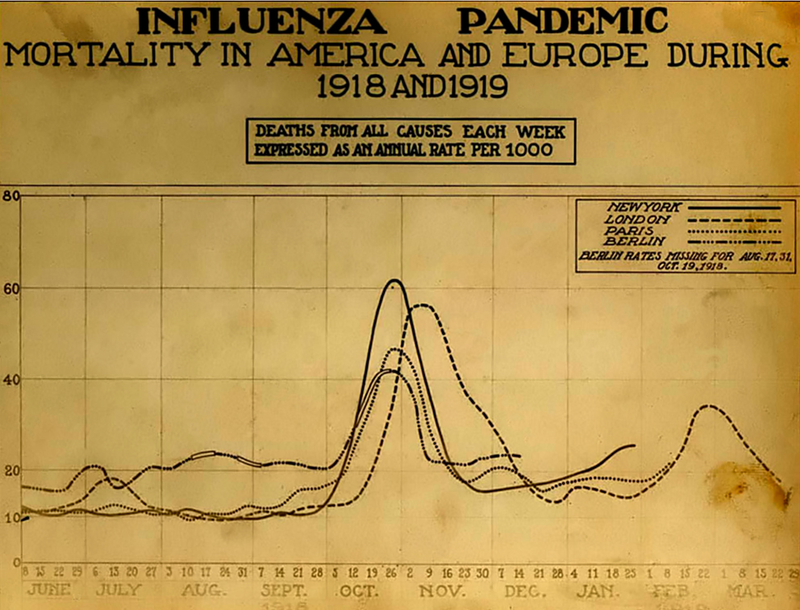 When the flu first appeared in 1918, Europe was torn apart by World War I. Governments in the West quickly heard about this incredibly deadly virus and its impacts on the battlefield. They were forced to talk about it, but didn't want to bring down morale so close to the end of the war. Many families had military overseas fighting so this would just increase public anxiety. 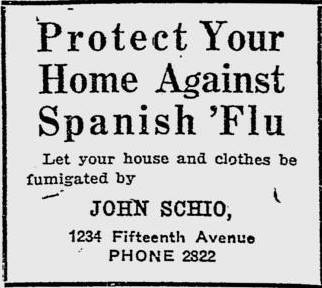 To prevent this, the government and press named this virus the "Spanish Flu" because Spain was a neutral country and -- in theory -- having the flu there did not threaten the troops. However, the flu was not isolated in Spain and killed civilians and military alike across Europe. 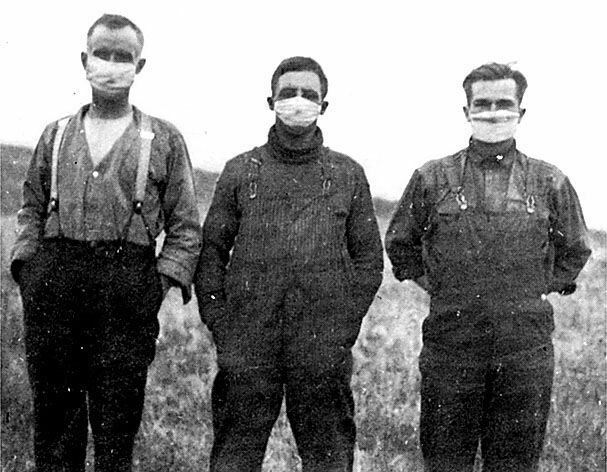 The Spanish Flu arrived in Saskatchewan in October of 1918. Swiftly it spread into the cities, infecting and hospitalizing thousands. 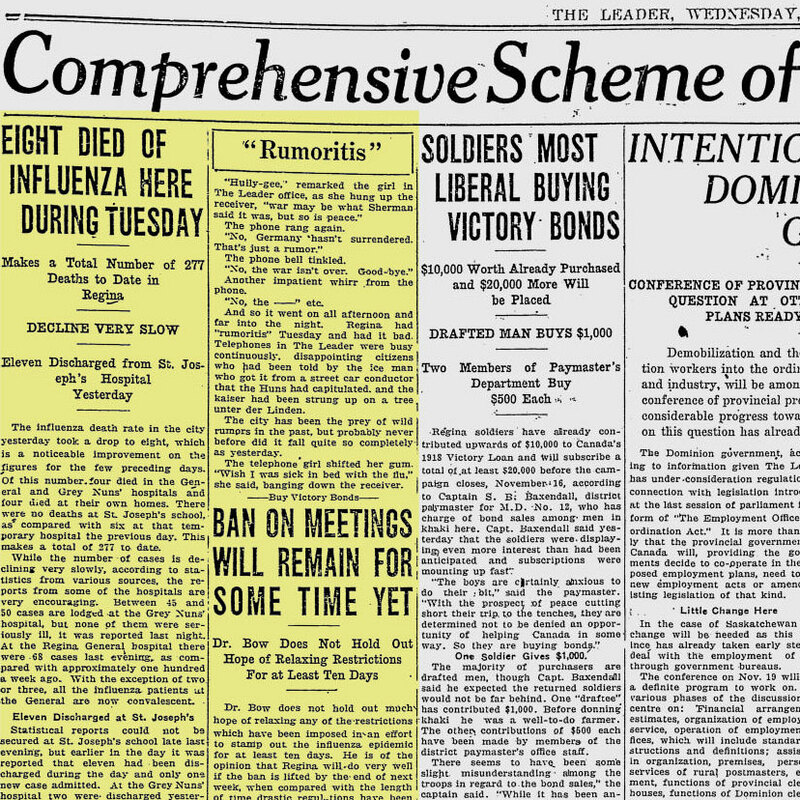 From the arrival of the flu in 1918 to the end of 1920, 5,018 Saskatchewan citizens died. 330 of them were from Regina. During the panic, hundreds of graves were dug for the bodies and many of the families did not have the means to afford headstones. 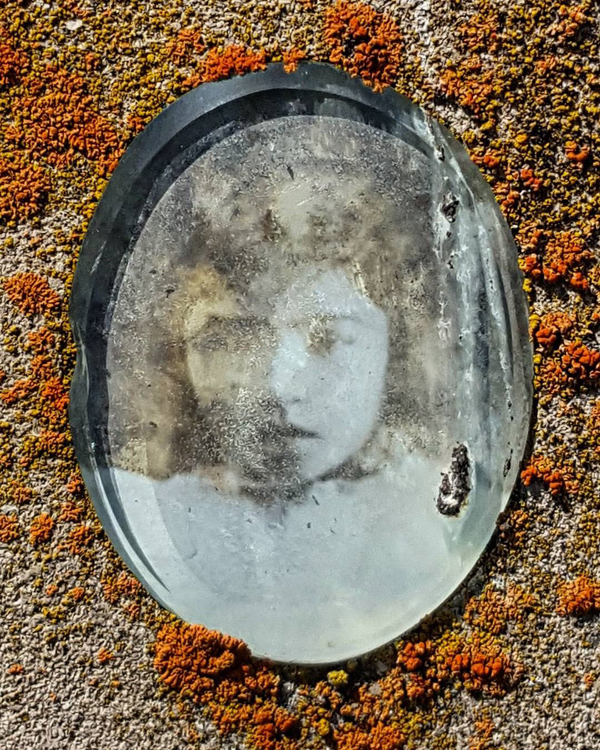 City and funeral home records are incomplete on where these victims are buried, but we do know that many do not have headstones. This memorial is to finally give these people a marker and to help preserve their history. It is expected the memorial will cost approximately $5,000. You can help by either donating to our GoFundMe, contacting me directly or just by sharing this website on Facebook or Twitter and telling other people about it. 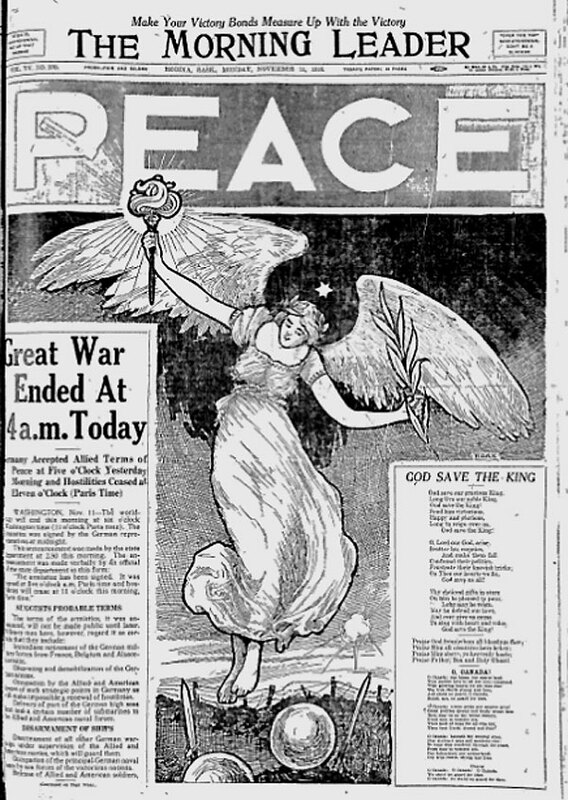 1918 brought the end of World War I, but the beginning of the Spanish Influenza. Spread worldwide by returning soldiers that fought in Europe, the flu would reach every corner of the planet by the end of the year. This marks the beginning of the "First Wave" of the Spanish Flu. This was the mildest of the three waves and was relatively isolated to Europe. The first cases of the Spanish Flu arrived in Canada in July, 1918. Fall would bring the arrival of the "Second Wave" of the Spanish Flu. This wave would be the deadliest of the three waves and would swell during the end of World War I. To counteract this wave, Regina founded the Influenza Relief Committee. 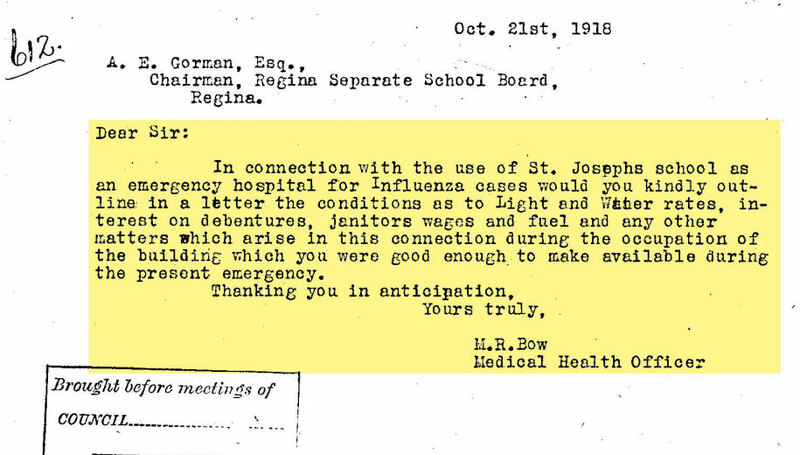 Much of the information we have regarding the Spanish Flu in Regina are from their meeting minutes. Fearing the arrival of the Spanish Flu from Eastern Canada, Richard Lake was born in Government House, Regina, Saskatchewan instead of in a hospital. He would be the only person in history to be born at this location. The exact arrival date of the Spanish Flu in Saskatchewan is unknown. 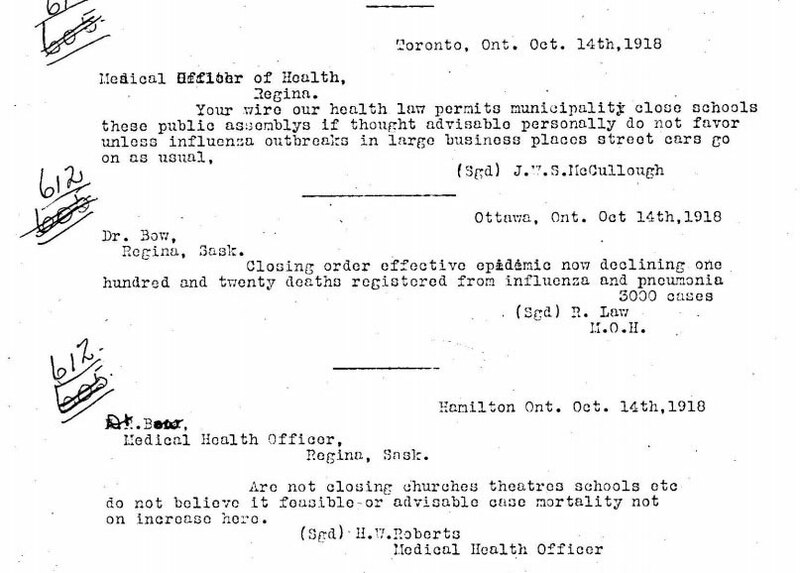 A thesis published in 1989 says the first case arrived on October 1st, 1918, but records from 1921 claim there were already 3 cases in Saskatchewan during September. The Morning Leader reports the first death of Spanish Flu was Robert Callander, after being sick for a week. He died in the Regina General Hospital. He was a Scottish immigrant and had no family in Canada. Two soliders have also been reported sick at the Exhibition camp, with four other civilian cases being reported. One of these cases is a family of five. There are 18 cases of the Spanish Flu reported in Regina. The Morning Leader reports the Spanish Flu has gone global, infecting the entirety of the United States as well as South Africa and Australia. Medical professionals from Regina wire major cities in Ontario seeking advice on how to cope with the flu. Toronto responds that they will not be closing businesses or streets cars unless the flu gets worse in their city. Hamilton will also not be closing churches or schools unless the mortality rate increases. Ottawa, however, has already closed shops and street cars as 120 people have died from the flu, and 3,000 are now sick. Cases in Regina have increased to 150, and 10 people have died from the flu. 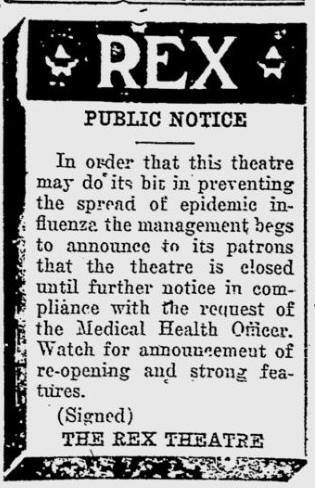 Province wide, all amusements such as movie theatres, dance halls, billiard rooms and bowling alleys are forced to close to prevent the spread of the virus. It is expected to last 10 days, but will instead last 5 weeks. Churches, schools and outdoor rallies for the Victory Bond were allowed. Schools and churches province receive order to close their doors. St. Joseph's School has been converted into a hospital to help house, bed and care for the sick. Today is the first "Churchless Sunday" in Saskatchewan history. Any remaining schools that are still open across the province are forced closed. The idea of doing a census of how many people are sick and dying access the city is first proposed by the Influenza Relief Committee. Victoria School, Strathcona School and St. Mary's School have been turned into isolation hospitals. Local business men are asked to lend their cars to medical staff so that nurses can easily provide medical care to those at home. The local post office also had its hours restricted, closing at 7 PM instead of 10:30 PM. There are now 12 new infected houses in the city, representing 35 people. In an attempt to slow the spread of the flu, the committee discusses restricting store hours to 6 PM under the request of the mayor. Although no evidence has been seen that this will stop the spread of the flu, and instead might encourage it, the motion is moved with the request for assistance from the Provicinal government. Barber shops will be allowed to stay open 30 minutes longer for shop owners to still get their hair cut. Due to the impromptu closures of theatres, 81 employees of the Theatrical Federation of Regina have lost their jobs without proper notice or pay. They are requesting the city pays each employee $25 a week for compensation until theatres can reopen, as their employer has no legal obligation to do so. Regina's death toll has now increased to 122 people, with 9 people having died the previous day. The city wide census begins. The census is half completed, with 943 records of the flu existing throughout the city. It is estimated the final count will be around 2,000 cases. Regina College is put under quarantine with 126 students in residence. Although no cases have been reported at this time, 9 students and 3 teachers would die before the flu was over. All stores throughout Saskatchewan must be closed at 6 PM, with the exception of drug stores, restaurants, hotels and eating houses. Barber shops will close at 6:30 PM. A request was made to reopen churches. It was denied. The census is nearing completion, and 1,899 people are sick with the flu in Regina, with 134 people having died so far. This number includes the 17 that died the previous day. The city had to bring labourers from Street Cleaning, Parks and Works Departments to help dig graves for the bodies. The labourers demand being paid 50 cents an hour for their work. The committee agrees and says to have the "best terms possible with these men who are to be kept in any event". 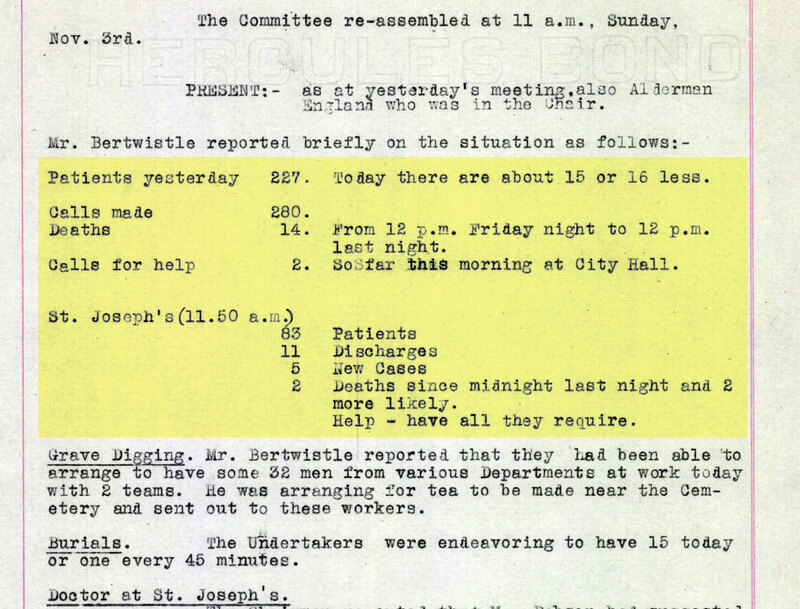 Grave diggers demand to have Sunday off work, but the committee insists it is absolutely necessary for work to continue. It was discovered one of the doctors at one of the hospitals was not a fully qualified practitioner. The committee said it wasn't their decision to make to keep or let him go, but just that they need all the help they can get. 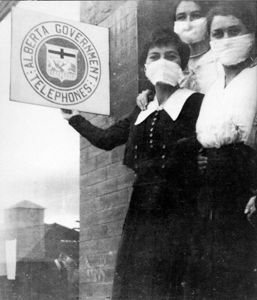 Between October 31st and November 1st, there are 131 new cases of the Spanish Flu in Regina. 10 people died on November first, putting the number of deceased at 144. Parachiva McRadu, wife of prominent Reginian Romanian Toma McRadu, dies from the flu. She is buried on November 5th. To convince the grave diggers to work on Sunday, the workers are provided cups of tea to drink while working in the cemetery. The undertakers recorded 15 burials today, or one every 45 minutes. Exact numbers are not available for new cases, but it is estimated that there are 50 new cases in the city. The committee also discussed the available vaccine, but because there is only enough for 50 people, it was administered to nurses and doctors and not the public. 10 people died from the flu yesterday, and 5 this more morning. 25 grave diggers were out yesterday and 13 were out today. There are 56 new cases in Regina, but none of the cases were serious. Doctors believe the flu is waning and it should be over by the end of the week. Schools are to reopen, but teachers who worked as nurses during the flu will have an additional weeks holiday before returning to class. A request is made to have an "open aired" meeting to raise money for the Victory Loan. It was decided to postpone to the following week. 17 more people died within the past 24 hours, with 34 bodies waiting to be buried. There are 11 funerals today. 179 people have died from the Spanish Flu so far. 25 graves have been dug in an attempt to catch up with the death. To give the grave diggers a break, the committee requested 20 laborours from Imperial Oil (ESSO) to assist with grave digging. 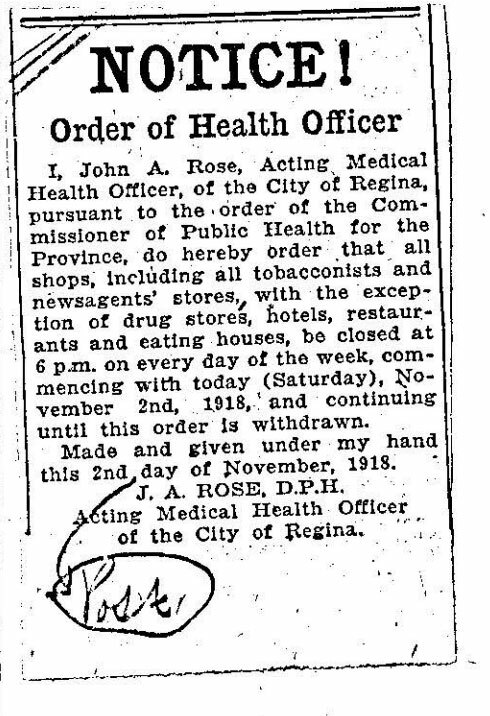 There are 70 new cases of the Spanish Flu in Regina. Discussions were also done on how to help the children living inside the Children's Shelter, as many of them are sick as well. One larger family refused medical help, claiming they choose to cure their child via "Christian Science healing". The committee is concerned this will not work and instead spread the virus to other family members. 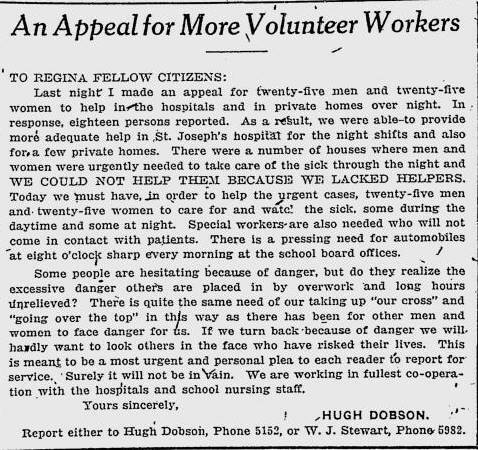 The Morning Leader reports the Spanish Flu has has now claimed 277 lives in Regina, with eight people dying yesterday. The Grand Trunk Pacific Railway is forced to reduce service due to the number of employees sick. In Regina, 90 conductors and trainmen workers are sick with the flu. 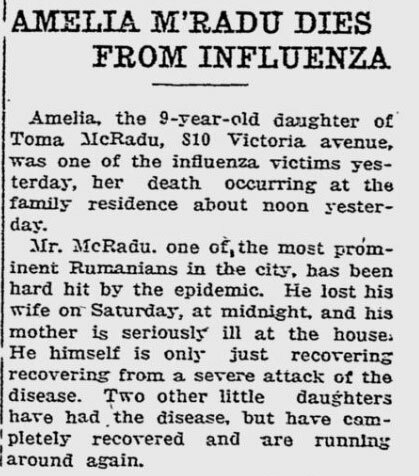 9-year-old Amelia McRadu, daughter of Toma McRadu and the late Parachiva McRadu, succumbs to the Spanish Flu. Her father and sisters are also sick, but they manage to survive the pandemic. 15 more people have died, increasing the death number to 292. However, The Morning Leader reports the number is instead 208. This number correction could be due to the removal of out-of-town victims from the death toll. No explanation in the newspaper is given. Although schools were forced closed for several weeks, teachers and staff will still be paid full salaries, the provincial government announces. 3 more people die from the flu, and 73 more cases are reported. 25 bodies are waiting at Speers Funeral Home to be buried. The Great War has ended and Europe is at peace. The world celebrates. The city claims their budgets are too strained to pay compensation to the theatre employees. Additionally, the death rate has slowed from dozens per day, to only a few. The death toll currently sits at 234. First Baptist Church requests that churches reopen their doors prior to places of amusements so they can gather in prayer and memory for the victims. Theatres request that their businesses expenses while closed (water, power, rent, etc.) be paid for by the city as they were unable to make money due to the immediate closures. They also request to open as soon as possible as the theatres in Moose Jaw and Saskatoon have already reopened. 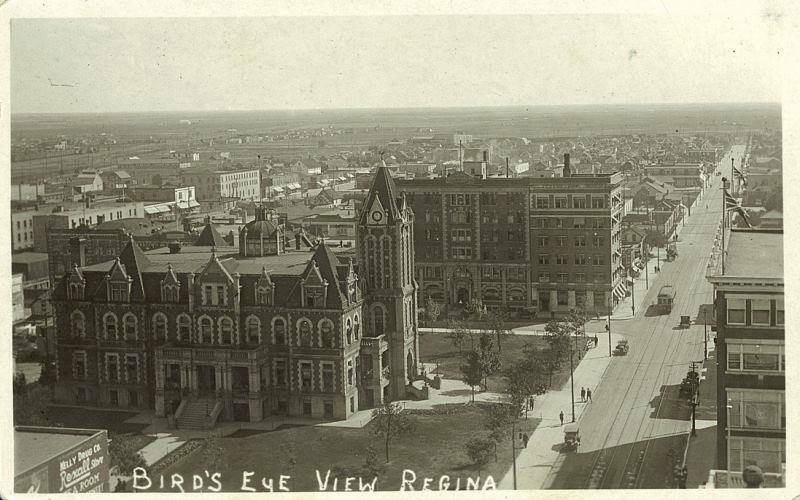 The Theatrical Federation of Regina also requests to put on a free concert in the City Hall Auditorium for their entertainment the day prior to, and after, places of amusements have reopened. The number of cases are improving and they have enough medical staff to help all 151 patients. 5 people died in the city yesterday. First Baptist Church clarifies their request to open churches prior to places of amusements, and notes that while their church cannot open, a confectionary store (Woolworth 15 Cent Store) was open late last evening, and with a "seething crowd of hundreds of people". They then ask the city for clarification on if this is wise or consistent with their current "ban" on gatherings. First Baptist Church requests the city do a better job at preventing large groups to gather, as the flu can be spread from person to person contact. They also request the city to do more to defer shops from having sales intended to bring large groups of people together. First Baptist also mentions that churches should not follow under the "ban". They argue a "well-lighted, well-aired building occupied for a short time once or twice a week is not the same source of danger as an ill-lighted, ill-ventilated building, occupied continuously for several hours daily by constantly changing audience." The committee listened to and considered the statements from local churches, and granted them to reopen in the following Sunday. There are 24 new cases reported, and 2 deaths. Churches reopen their doors for Thanksgiving for Victory and Peace. All amusements are officially reopened. According to the Sask Bureau of Public Health in 1921, 3,906 people have died in Saskatchewan. The least deadly of the three waves occurred in early 1919. Little information is known about the flu in Saskatchewan at this time as the "peak" had ended. A 1989 thesis writes that many First Nation reserves were hit especially hard during the pandemic due to lack of proper medical equipment. 50% of total Saskatchewan deaths occurred on these reserves. Farms and isolated homesteads were also hit fairly hard as there was no immediate access to medicine. At times, whole families would be dead for days before neighbours found them. The Morning Leader reports that incomplete provincial vital statistics claim 1,574 people died from the epidemic in Saskatchewan in 1918. By 1921 that number would be updated to 3,906 lives lost in 1918. The extreme strain the Spanish Flu had on Alberta's hospitals were felt across the country. Similar changes were made nationwide if another pandemic like the Spanish Flu were to occur ever again. 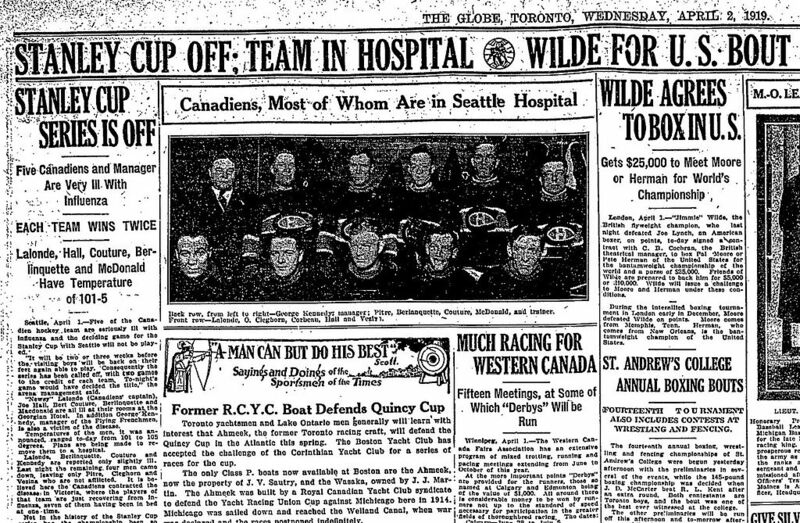 After 5 games, the Stanley Cup Playoffs were cancelled due to the Spanish Flu. Of those 5 games the Seattle Metropolitans won 2 games, the Montreal Canadiens won 2 games and both teams had a tie. The only other time the Stanley Cup would be cancelled was during the 2004–05 NHL lockout. According to the Sask Bureau of Public Health in 1921, an additional 1,101 people would die in 1919. Monthly death tolls in 1920 in Saskatchewan went from triple and double digits, to single digits. Very little information is known about the flu at this time. When the flu ended by the end of the year, between 20 - 50 million people worldwide would die from the Spanish Flu. According to the Sask Bureau of Public Health in 1921, an additional 102 people would die in 1920, finalizing the total at 5,018 people. 330 of these victims are from Regina. 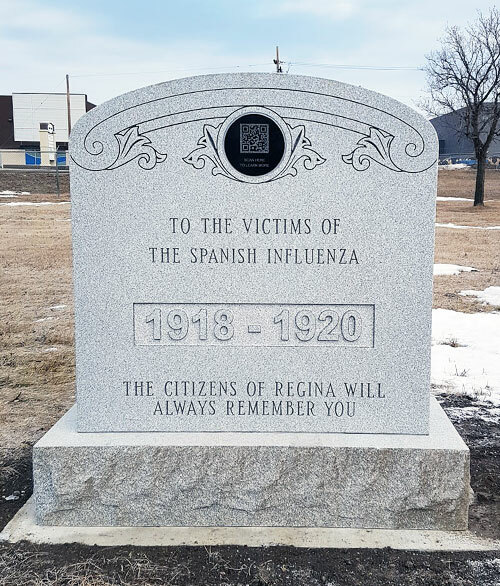 Throughout the generous acts of citizens, organizations and businesses across Regina, the Regina Spanish Influenza Memorial was installed in the Regina Cemetery on December 1st, and unveiled to the public on December 14th. 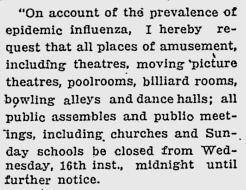 Although the Spanish Flu would traumatize the province, it would quickly bounce back. By the early 1920s, Saskatchewan became one of the wealthiest places in the world. The 1930s would bring forth the Great Depression and the 1940s would bring Canada into World War II. These booms and busts would overshadow the Spanish Flu, and it would quickly be lost to history. Over the past century information about the victims of the Spanish Flu have been lost, misrecorded or forgotten. In honour of preserving their memory, a memorial was erected in the northwest corner of the Regina Cemetery on December 1st, 2017. It would be unveiled to the public on December 14th, 2017. With special thanks to Speers Funeral and Cremation Services, Heritage Regina, Frontier Cemetery Monuments, Regina Catholic School Division, The Saskatchewan Military Museum, The City of Regina, Jay Carnall, Rock of Ages Canada, Government House, Maureen Katherine Lux and Jessica Nuttall.